It will take place on Sunday 18 February 2018 starting at 10 am with the meeting of the competitors at 9 am, the "9th TROPHY BALTO SLEDDOG Baby - Junior Musher" on the Piana di Fusine at the school ring trail of the Mushing International School of Tarvisio conducted by Ararad Khatchikian and Monica D 'Eliso. 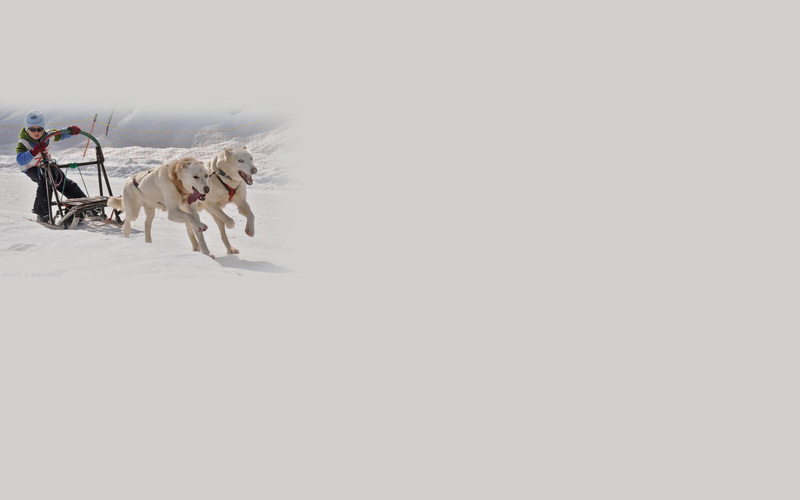 Competitive teams composed of mini "mushers" (sled drivers and dogs ), experienced boys and girls and absolute beginners between 5 and 14 years of age, will compete with 2, 3 and 4 Dog teams each, in the Km. 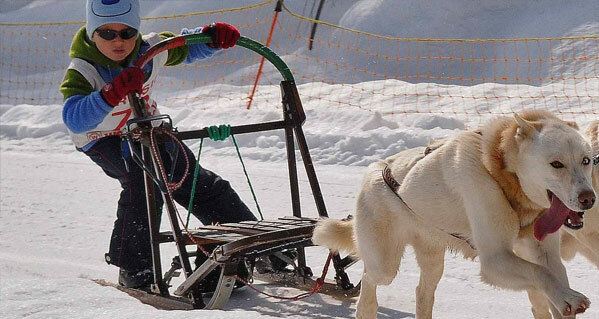 1.6 ring of the Mushing International School of Tarvisio - Fusine. A detailed lesson to the mini racers will be performed before the start. In addition to the numerous competitors already students of the International School of Mushing / Sleddog of Ararad Khatchikian and Monica D 'Eliso, will also participate mini beginners "mushers" of the other Provinces of Friuli Venezia Giulia, Carinthia (Austria) and Slovenia and of the nearby Regions with their dogs or with Dogs and sleds also made available by the Mushing International School. The Competition is sponsored by the Italian Federation of Musher Sleddog Sport, by the Friuli Venezia Giulia Region, Municipality of Tarvisio and is dedicated to the memory of the very strong and very young Tarvisio mountaineer and very active collaborator of the International School Mushing - Sleddog, LUCA VUERICH prematurely died in a climb of a ice waterfall in Slovenia. It is expected, as usual in all its previous editions, an incredulous and festive crowd of fans, curious and occasional spectators, to qualify this unique event of its kind in the world ! An unexpected success for this race that has seen excelling the very young promises of the Sleddog / Mushing Sport together with their faithful four-legged friends also made available by the International School Mushing of Tarvisio.